Seagrass support essential commercial and artisanal fisheries, and the communities and economies that rely on them. With 40% of the global population living within 100 km of the coast, fisheries are crucial to food security and alleviating poverty. Nearshore and intertidal seagrass meadows allow easy human access, thus supporting significant subsistence and artisanal fisheries and livelihoods. 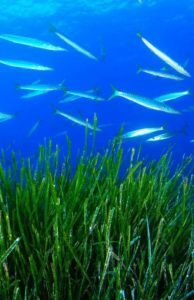 Seagrass account for less than 0.2% of the world’s oceans but are responsible for 10% of the carbon stored in the oceans annually. Up to 83,000 metric tons of carbon is stored in sediments of seagrass meadows per square kilometre; twice as much as the carbon stored in temperate and terrestrial forests. This makes them a vital component in combating global climate change. 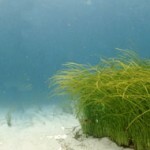 Seagrass meadows contribute to human and ocean health. 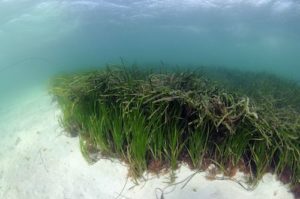 Seagrass produce oxygen as a byproduct of photosynthesis, which helps rid the waters they grow in of pathogens and bacteria that could be harmful to human health. Seagrass meadows also regulate the chemistry of seawater by the uptake of dissolved carbon dioxide. This helps regulate the pH of seawater, making it less acidic and less harmful to marine organisms with calcium carbonate skeletons such as corals and crustaceans. 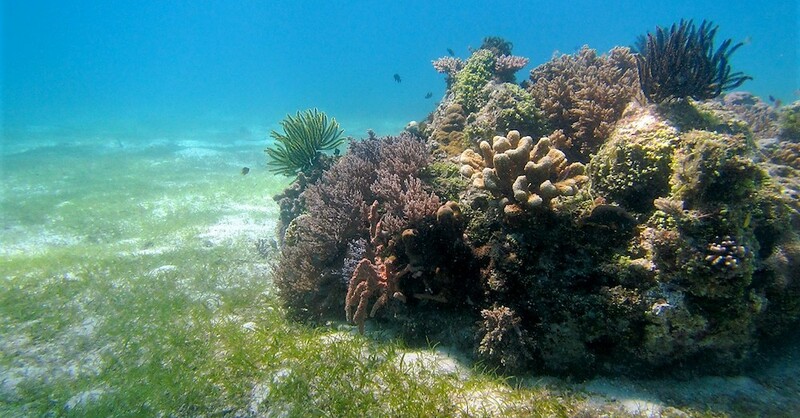 Seagrass form habitats that support an amazing array of plants and animals. Crustacean and fish abundances are seven to twenty times higher in seagrass meadows compared to adjacent bare sand areas. Many species of commercially important mangrove and reef fish rely on seagrass meadows as nurseries and foraging grounds. 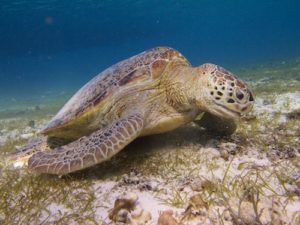 Seagrass are also an essential food source for endangered species such as sea turtles, manatees, and dugongs. 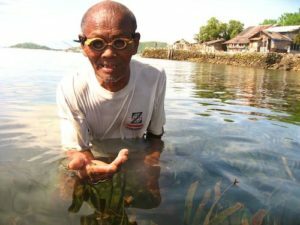 Globally, there are many traditional livelihoods and cultural traditions that are intricately linked to seagrass meadows. Seagrass meadows are an important cultural resource for coastal communities, and are intrinsic to the socio-economic-cultural landscape of these communities. Seagrass meadows also provide many educational, recreational, and tourism benefits and opportunities. Close to 30% of the world’s seagrass meadows have already been lost, and the rate of decline of seagrass meadows has accelerated since the 1990s. 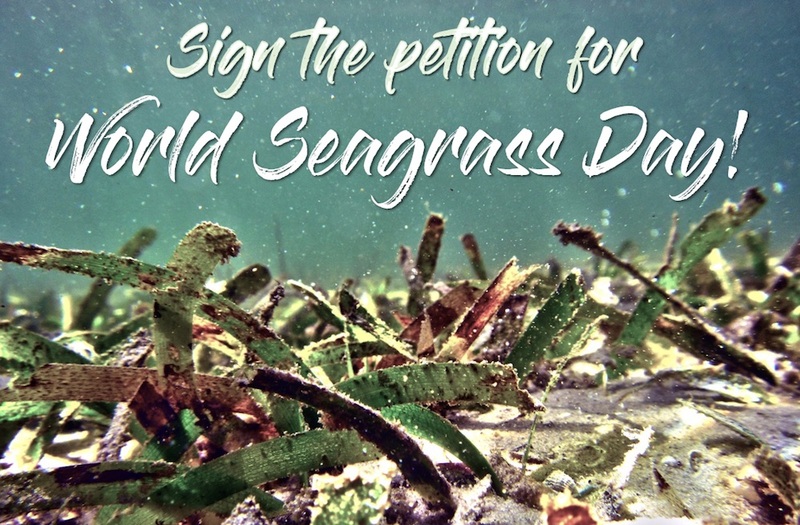 Currently, an estimated 110 square kilometres of seagrass is lost annually. This rate is equivalent to two football fields of seagrass being lost every hour. The actual loss may be more severe, as there are vast areas of the world where seagrass resources are abundant but haven’t been documented and accounted for. This includes regions such as Southeast Asia, and coastal East and West Africa. We must heighten global awareness on the importance of seagrass, the activities that threaten them, and consequences of their loss. 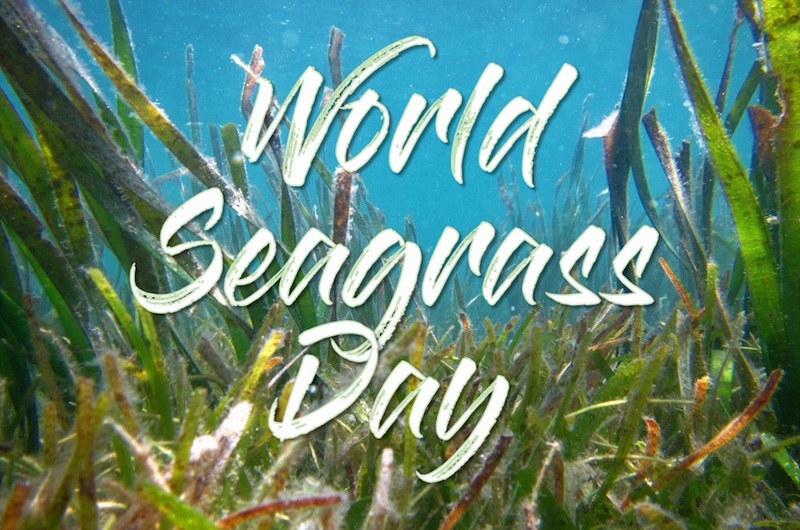 A day of global recognition and the supporting outreach activities, is the first crucial step towards bringing seagrass into the collective consciousness of the world’s populations.